Our design duos have faced some amazing challenges but, this week, Danilo announced that their next challenge is designing the kitchen. Budget is a huge concern at this stage. Besides all the sponsored elements, each Duo has a cash budget of R300,000 for the entire house. From this amount, Team Habitat has R114,000 remaining, Team VISI is left with R104,000 and Team House and Leisure have just R85,000 remaining. This is a huge problem when there are still three spaces left to decorate and the kitchen is typically the most expensive space in the home. Thankfully Grundig is sponsoring all the appliances, Caesarstone the counter-tops and Belgotex is supplying the vinyl floors. Because of their outstanding performance in the master bedroom challenge, all the teams were surprised with a reward. Banele literally fell off his chair as Danilo announced that each design duo would receive an additional R20,000 allocation to add to their cash budget for the kitchen. Additionally, all the Design Duos would also receive a R10,000 gift card from Clicks for small appliances and other kitchen essentials. The first step for all our design duos was some shopping fun as they selected their premier Grundig appliances. Next, was a lesson in colour psychology with Claire Bond from Plascon to help the design duos carefully select a palette that would make their kitchens more inviting. Inspired by the lesson, Team House and Leisure chose to work with Plascon’s 2018 Neutral of the Year called “Amadeus”. Meanwhile, Team Habitat have incorporated some clever design elements, including interesting uses of Caesarstone. Their mentor, Amanda, is pleased with their kitchen design but the question remains whether or not Abiah can reign in his use of chandeliers and if this duo won’t push their design too far with last minute surprises. Both Mpho and Lesego from Team VISI have experience in designing kitchens. Their mentor, Annemarie, offered advice on how to get their accessories right in their sleek, modern kitchen. 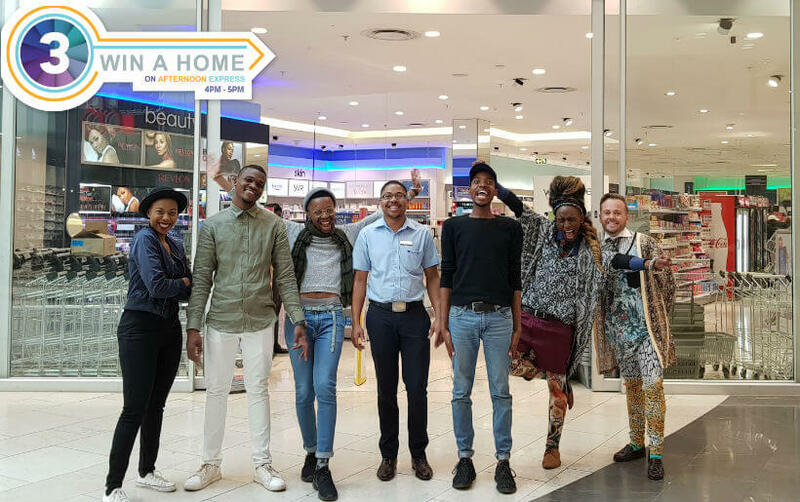 After Team House and Leisure spent all their kitchen budget, their mentor, Tiaan, suggested they get creative and upcycle or do DIY to add the finishing touches without having to spend more money. At the halfway mark, all the kitchens were at approximately the same stage of work. Team House and Leisure hope that simplicity and well curated design will be their winning advantage. Team Habitat have a dining space that extends into the lounge area - could this be a little too much kitchen for the house? And, Team VISI are trusting in the efficient, functional design of their kitchen. Can these spaces entice the sophisticated palettes of the judges or will they find these kitchens lacking in design flavour?